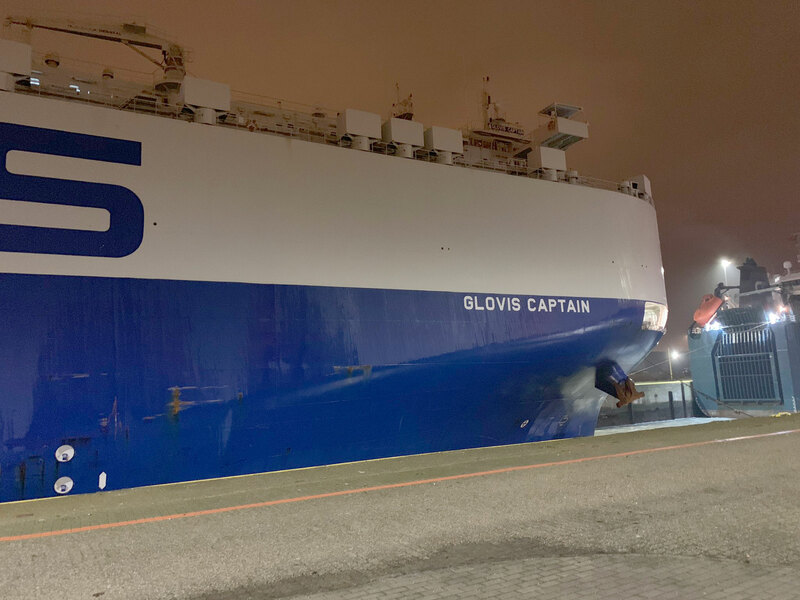 A vehicle transport vessel named ‘Glovis Captain’ carrying thousands of Tesla Model 3 electric vehicles has now reached Europe at the Port of Zeebrugge, Belgium. This is exciting news for European Model 3 reservation holders as deliveries come close with each passing day. Tesla enthusiasts always have prying eyes on the latest happenings related to Tesla Model 3 whether it’s Europe or China. 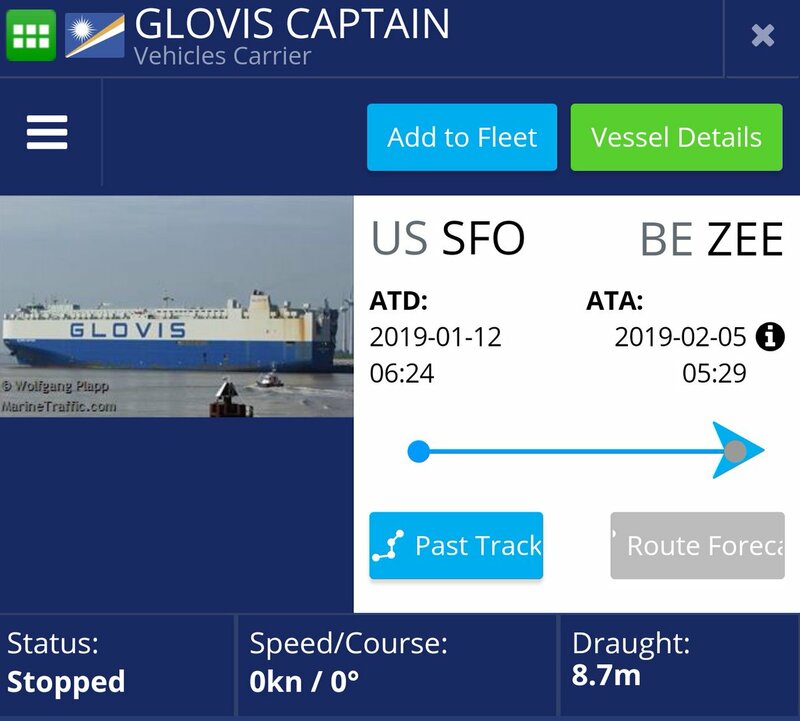 As we previously reported that a ship with multiple thousands of Tesla Model 3 vehicles has left the Port Of San Francisco but the ultimate destination was unclear at the time. This shipment is the first of many as Europe has been patiently waiting for about 3 years for the most loved compact sedan‘s arrival with their 1,000 euros in pre-order deposits. 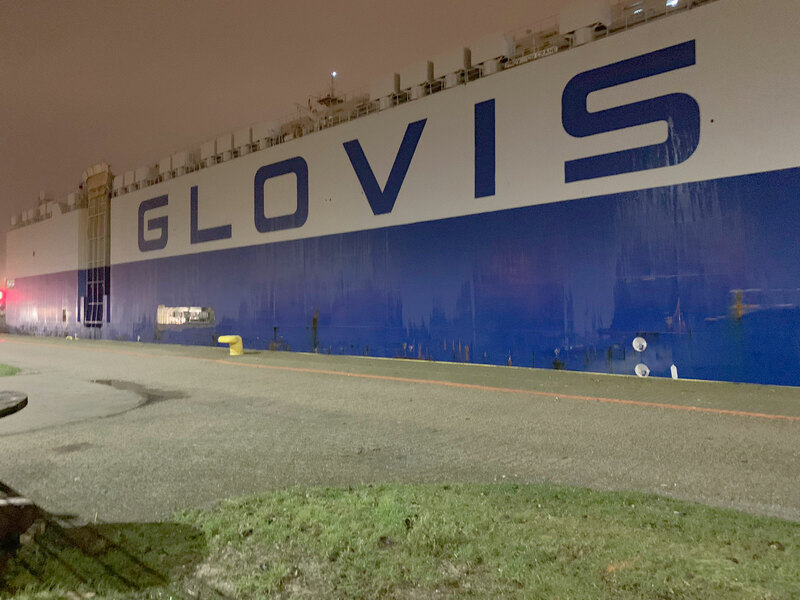 Online tracking of the Glovis Captain vehicle transport vessel shows that the ship has just reached the Belgian port today and European Tesla enthusiasts like Waterlot Luc and Kristof Lambrecht were able to capture the photos of the ship for us (below). Before today’s first known shipment we also reported that some Tesla Model 3s have been spotted being transported on a semi-trailer carrier in Denmark, these may have been test-drive models but there is no confirmation available. Tesla is now taking a strong Tesla Model 3 shipping and delivery stance for both China and Europe, as test drive Model 3s have also started appearing in China since last week. 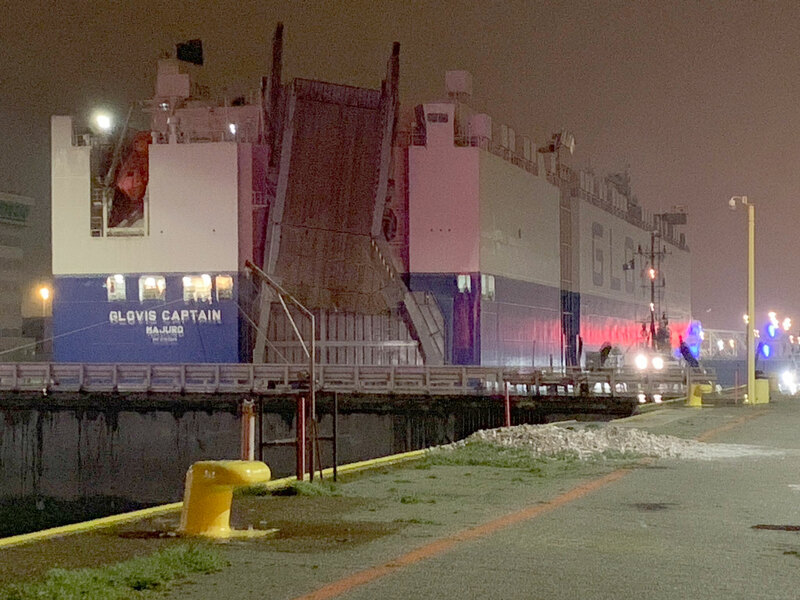 Let’s take a look at the latest pictures from the Port of Zeebrugge, Belgium where anytime soon the European Tesla Model 3s will start unloading from the Glovis Captain vessel.